There are luxury car brands and then there’s Jaguar. The brand is known for a lot of things – exquisite designs, panache, dynamic abilities; and that’s besides the luxury and the heritage it enjoys. I was in fact so smitten by the XFR-S and the F-Type that I had withdrawal symptoms for days after driving. So, a luxury SUV from Jaguar sounded somewhat outlandish. I couldn’t quite believe it at first, but, isn’t the entire world swooning over the form of the automobile? Jaguar had to make the global unveil special, so they got the famous Terry Grant do a 360 degree loop in the F-Pace. Heck, that’s a record in the Guinness Book even before being launched! Jaguar is known to pull off crazy stunts with its cars, but the 360 degree loop topped it all. 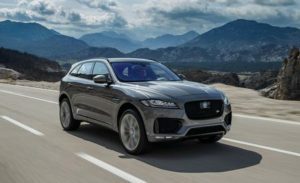 Jaguar was keen on showcasing how well it has shoehorned its famed sportscar DNA into an SUV, and in that sense the job had been done. Drive it we had to, to find out how good it is. So what we have here is the F-Pace R-Sport, powered by a 3.0-litre V6 diesel engine. Diesel? Will it be fun to drive you ask. How does 300PS and 700Nm sound for an answer? This arch meets the gorgeous wraparound tail lights and flows neatly to the rear, which is clearly inspired by the F-Type. This is probably the best angle of the car, with the angled top-half of the tailgate and bulged wheel arches highlighting the width. Quite simply put, Jaguar has managed to design the F-Pace with a perfect combination of sleek and curvy. The interiors of the F-Pace are well-crafted and are similar to the XE and XF due to the high percentage of parts shared between them. The dashboard is near identical to the XE sedan in terms of design and layout. It also features the signature ‘Riva Loop’ which is a single piece of trim that connects the door pads, running along the farther edge of the dashboard. While the overall quality of materials is good, there are still some areas on the dashboard and door pads that have hard plastics. The front seats are nice, supportive are comfy for even those with larger frames. They do a good job of holding the passengers in place. Even the steering wheel is great to hold, but feels cluttered with too many buttons for the 12.3-inch digital instrument cluster and the simply superb Meridian sound system which sounds great. Thanks to the expansive glass area and the massive panoramic sunroof, the cabin is flooded with light and feels bright and airy. Rearward visibility is decent and the driver also has the vehicle’s reversing aids – sensors and camera. The R-Sport variant is equipped with a frontal camera which is handy while driving off-road, especially when obstacles like big stones or logs are hidden away from the driver’s field of vision. What’s awkward are the window controls located on the window sill like in the Land Rover’s, rather than near the door armrest. These take some time to get used to. The rear seats can be reclined electrically and this adds an extra dimension to rear-seat comfort, but there’s no fore-aft seat adjustment. Still, there’s plenty of kneeroom, much more than in a Porsche Macan and ample under-thigh support on offer. Add to that, rear passengers can individually set their preferred air-con temperature. We’ve already driven the F-Pace with the 3.0-litre motor. But under the hood of this one, there’s a 2.0-litre Ingenium diesel engine– Jaguar’s new all-aluminium powerhouse that will power all its cars. But at first, the very thought of a small 2.0-litre diesel engine powering an 1830kg crossover, boggles the mind. The truth is that the 177bhp that is generated by this engine is adequate. This mill churns out a healthy torque of 430Nm at 1750rpm, and thanks to the ZF eight-speed gearbox, the driving experience is good. The motor behaves well with linear power delivery and there is no sudden surge at any rpms. The vehicle reaches triple digit speeds very quickly and has the ability to stay there for hours without any stress. In the city, this motor feels brisk and does have a fun factor attached to it. The torque heavy motor helps the car cruise at 130kmph in as low as 1900rpm. But post 3000rpm, the engine tends to get noisy and the motor demonstrates its limitations. The harshness starts to creep in and the NVH isn’t great. As a result, the overall experience isn’t the finest at high speeds. Post 4000rpm, this small motor struggles to generate top-end power. The gear shifts are smooth and responsive. This gearbox coupled with the torque spread makes overtaking an effortless job. It also has an S (sports) mode which is quite exciting to be in as the vehicle stays in the higher revs to get the maximum acceleration. The F-Pace is loaded with driving modes – eco, normal, snow and the most engaging one – dynamic. In dynamic mode, the throttle response is more accurate, the steering feels precise and the gearbox works harder. The ride is on the stiffer side, but isn’t back breaking. This has made the Jaguar an excellent handler. The SUV feels committed and offers outstanding handling in all the driving situations. Quick directional changes is a piece of cake for this Jaguar and that is where you get the feeling that this vehicle is nothing like a traditional SUV; it’s more like a beefed-up sports car. The Jaguar F-Pace is underpinned by a lightweight aluminium platform with almost 50:50 weight distribution. It gets 4 drive modes – Normal, Eco, All Surface Progress Control (ASPC which works under 30 km/hr) and Dynamic, with each mode altering the throttle response, gearshift and steering weight of the vehicle. Naturally, the best way to extract the most out of this British SUV is to put the car in Dynamic mode and the gearbox in Sports mode (activate the paddles and it holds on to gears). The First Edition (which is offered in the 30d) gets Adaptive Dampers which electrically control the suspension and stiffen them for a more sporty drive, analysing steering and body movement a whopping 500 times a second. The ride and handling balance of the Jaguar F-Pace is fantastic, the suspension does a great job of ironing out the undulations of our roads but does feel firm when you drive fast over expansion joints on bridges. The rather high profile tyres are also to be praised and the rubber is wide, that coupled to the 4-wheel drive system and torque vectoring ensure that the F-Pace corners with a whole lot of eagerness. While there is body roll, it’s quite well contained and the steering is responsive and feedback rich, making corners a favourite place for this Jag. The torque vectoring system applies brakes to individual wheels when it senses a loss in traction and it simply works flawlessly to reduce understeer. The F-Pace is very stable at high speeds but there is some vertical movement post 160 km/hr. The brakes offer very good stopping power and the pedal feel is positive. The answer to this question would have been a resounding ‘yes’ had Jaguar not decided to price itself out of the equation. The 2.0-litre Pure and Prestige variants start at Rs 68.40 lakh and 74.50 lakh (ex-showroom, Delhi respectively). A four-cylinder for the price a six-cylinder from the other German manufacturers. Jaguar has directly targeted the Porsche Macan (Rs 1.06 crore) with the 3.0-litre R-Sport and First Edition variants priced at Rs 1.02 crore and 1.12 crore respectively. While the Macan is an SUV focused on sporting performance, the F-Pace is a bit more rounded and usable SUV that will feel at home in the urban jungle and on a winding road section alike. The F-Pace offers excellent driving dynamics, a good balance between ride comfort and enthusiastic driving and a very punchy and enjoyable engine. So, in a nutshell, it’s extremely capable and alluring and it works well as a luxury car; but you have to be willing to pay a big premium for the privilege.